Units on this former North London Lines route. 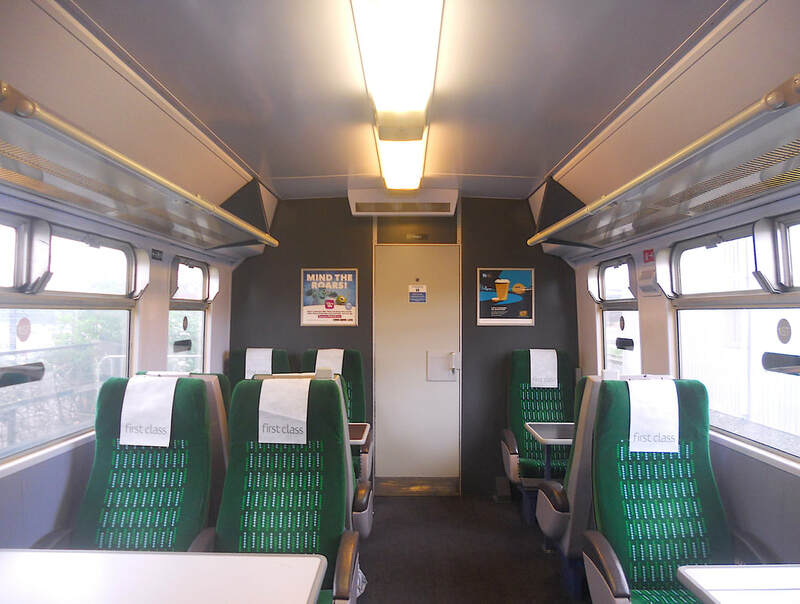 London Midland unbranded/white Class 319/4 No. 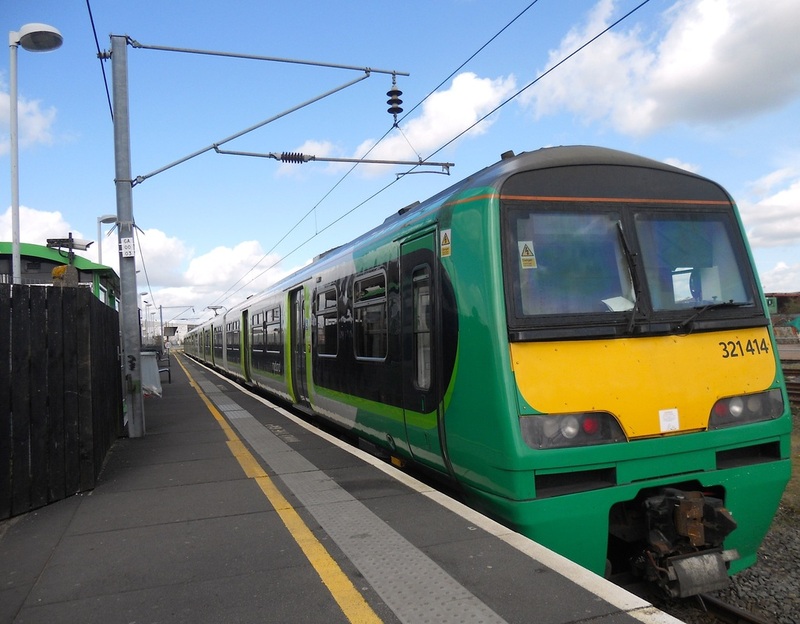 319460 at Watford Junction. (c) Peter Skuce. 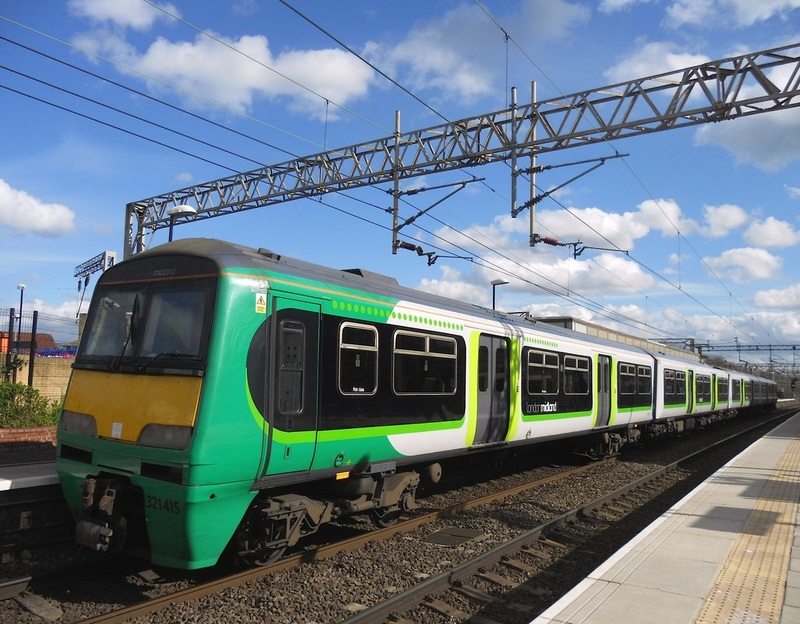 London Midland Class 319/4 No. 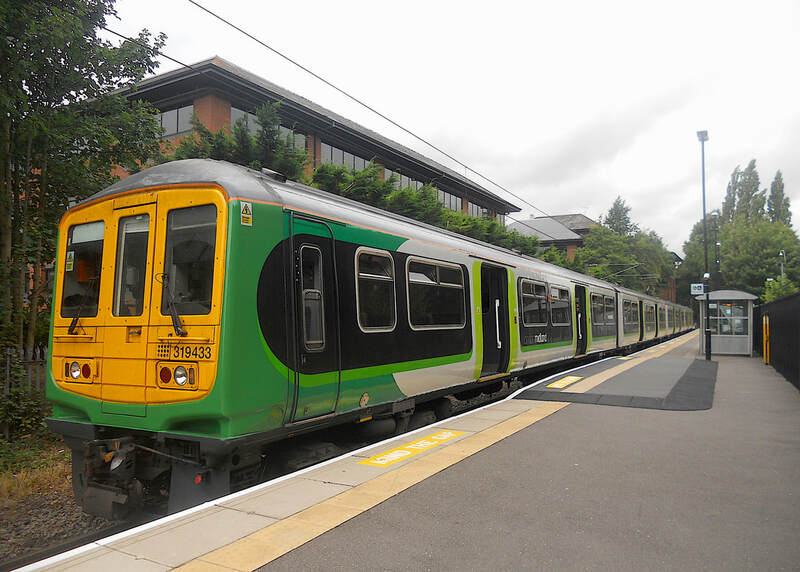 319433 at Watford Junction. (c) Peter Skuce. 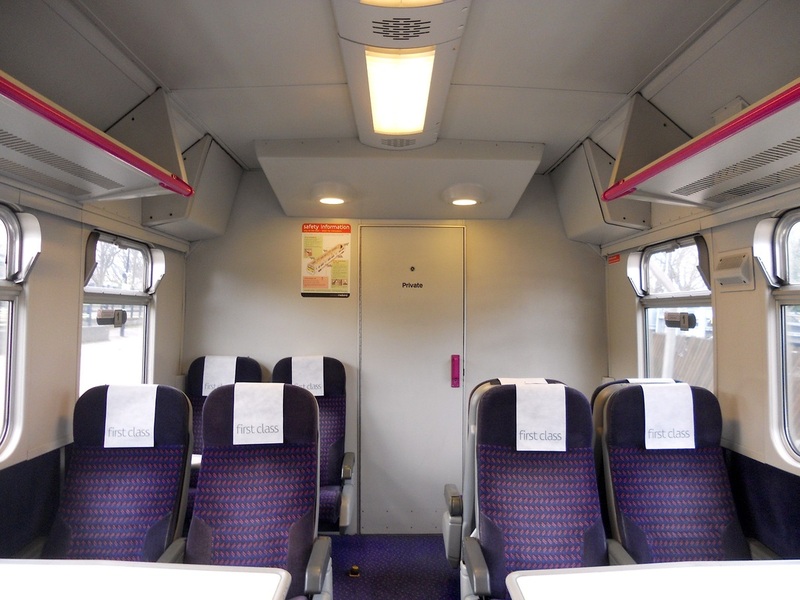 The interior of the refreshed First Class cabin. (c) Peter Skuce. The interior of the refurbished Standard Class accommodation aboard the TSO vehicle. (c) Peter Skuce. 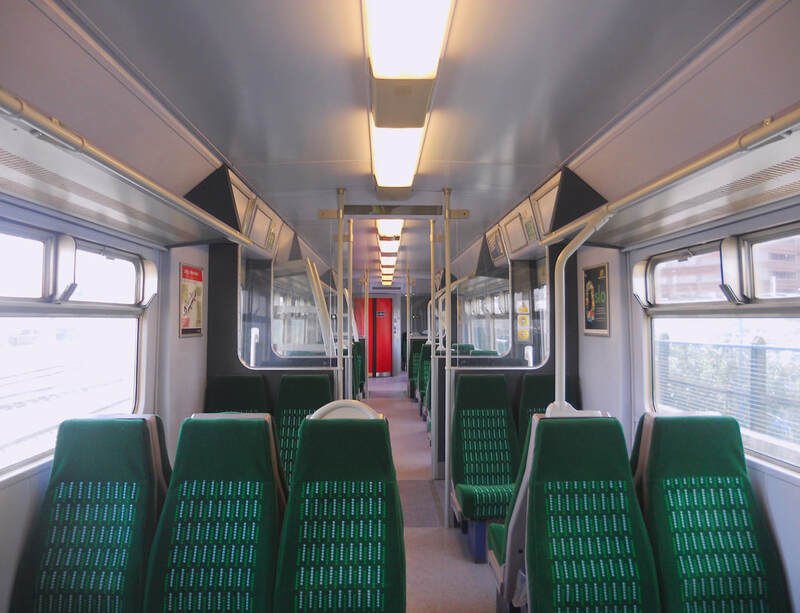 A half internal view of the refurbished TSO vehicle. (c) Peter Skuce. 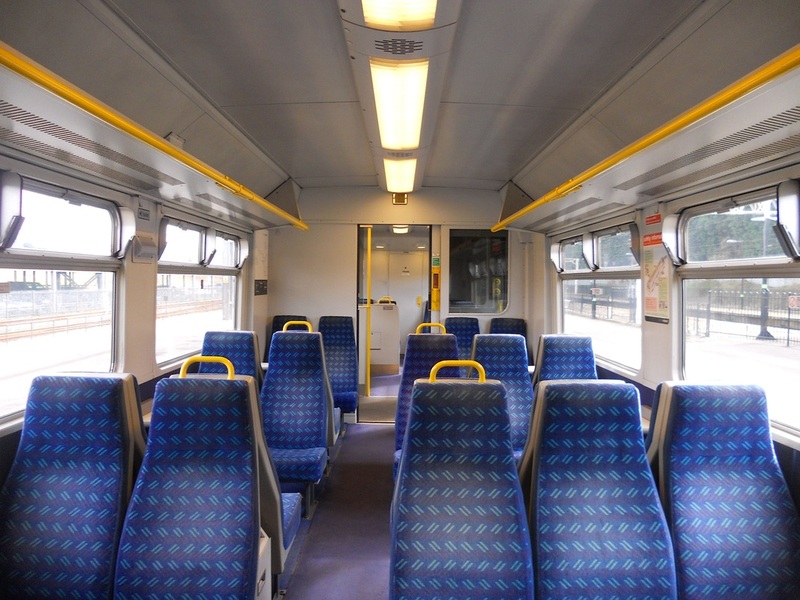 The interior of the refurbished Standard Class accommodation aboard the DTSO vehicle. (c) Peter Skuce. 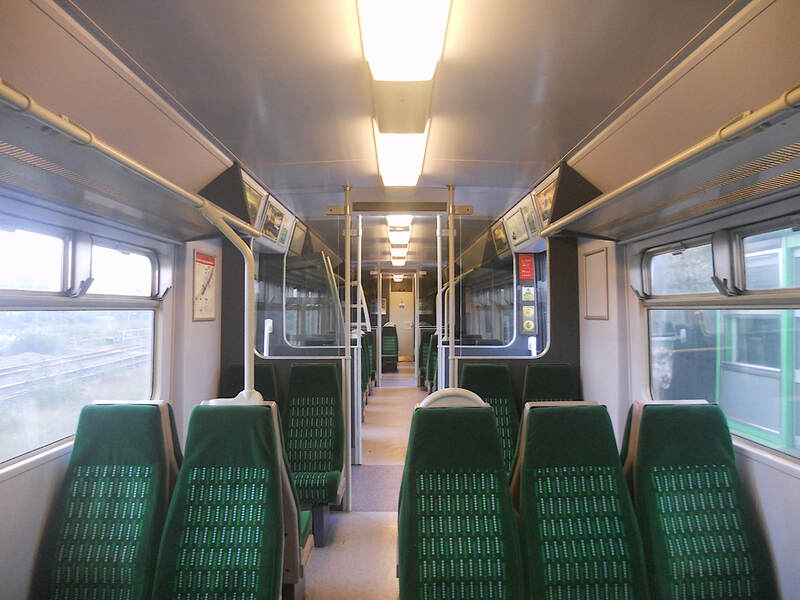 London Midland Class 319/4 No. 319433 at St Albans Abbey. (c) Peter Skuce. 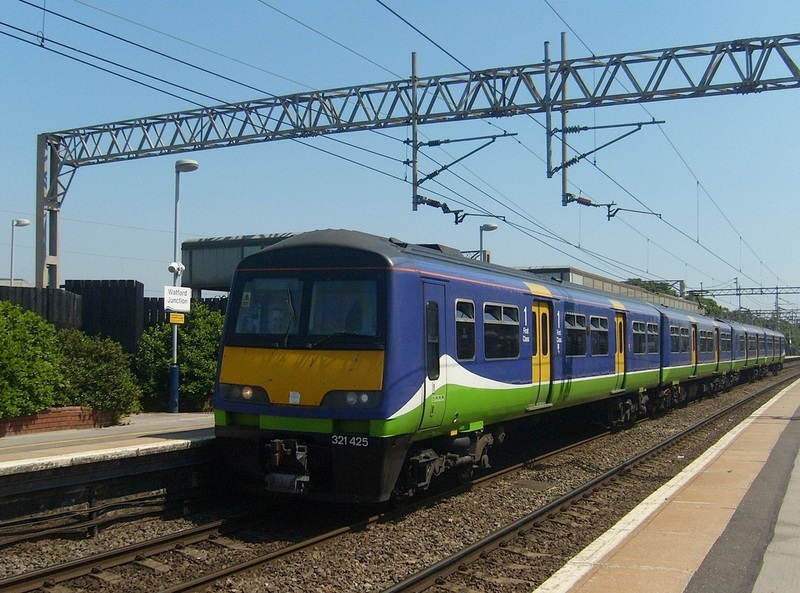 Silverlink County Class 321 No. 321435 at Watford Junction. (c) Peter Skuce. 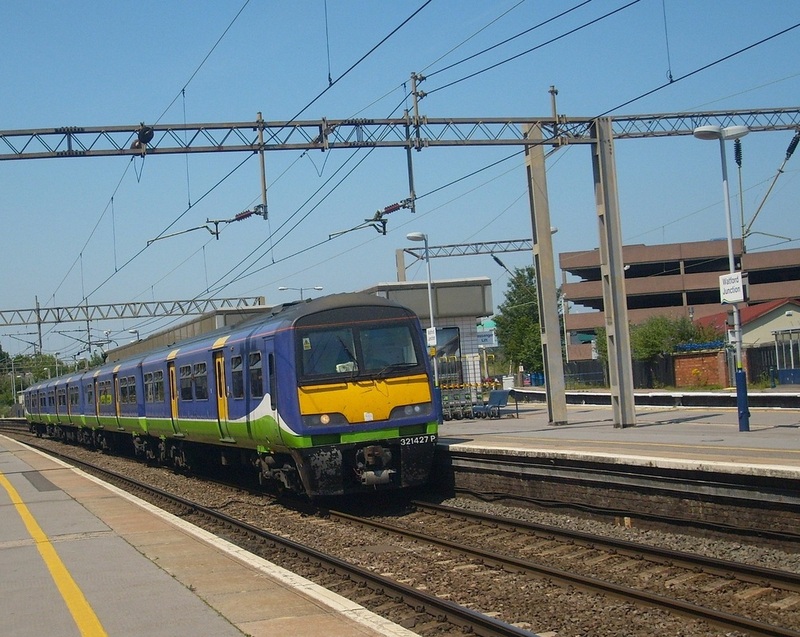 Silverlink County Class 321 No. 321411 at Watford Junction. (c) Peter Skuce. 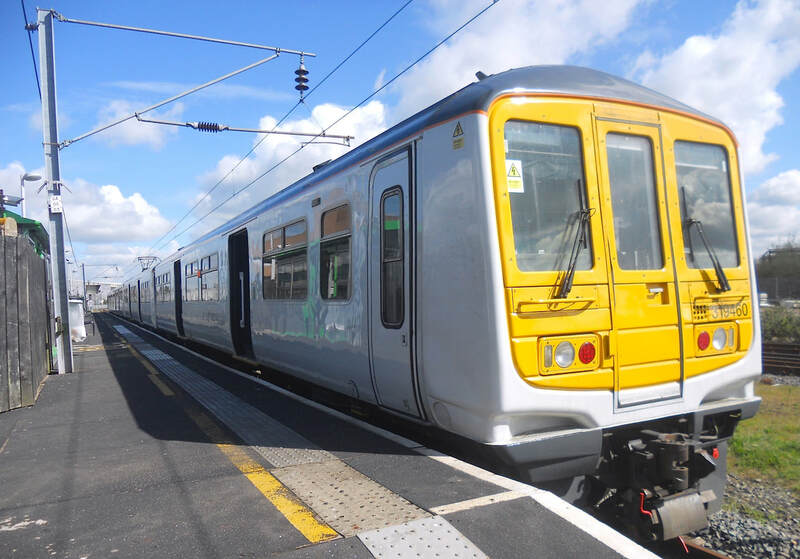 Silverlink County Class 321 No. 321422 at Watford Junction. (c) Peter Skuce. 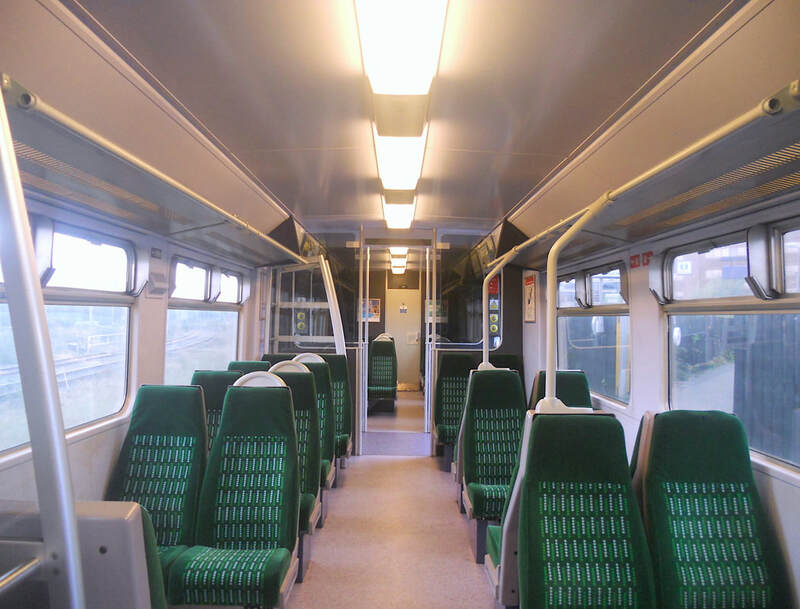 Silverlink County Class 321 No. 321425 at Watford Junction. (c) Peter Skuce. 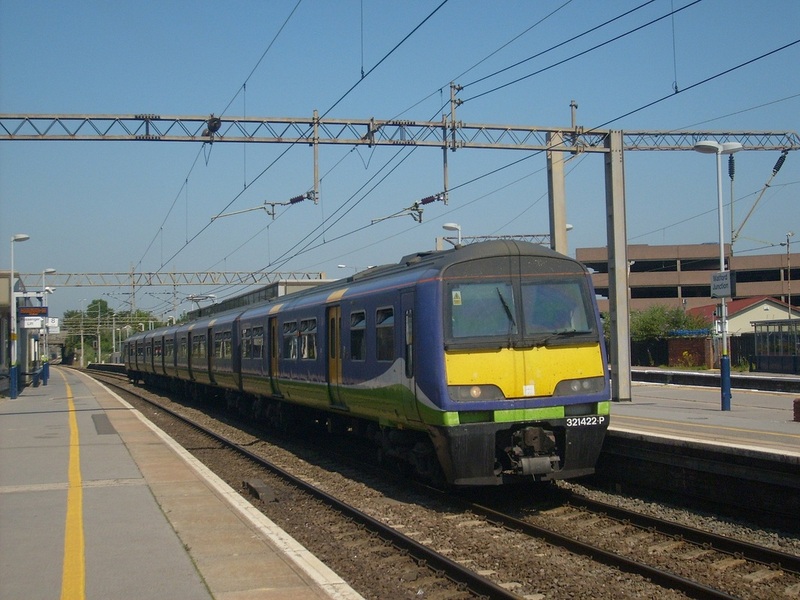 Silverlink County Class 321 No. 321426 at Watford Junction. (c) Peter Skuce. 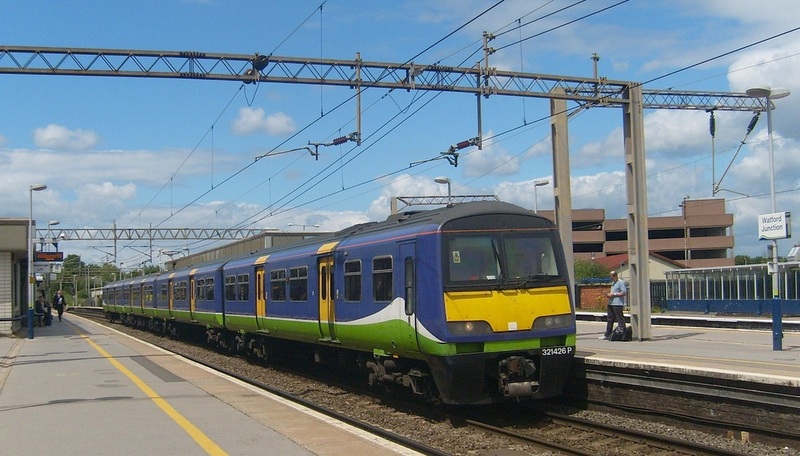 Silverlink County Class 321 No. 321427 at Watford Junction. (c) Peter Skuce. The interior of First Class cabin. (c) Peter Skuce. 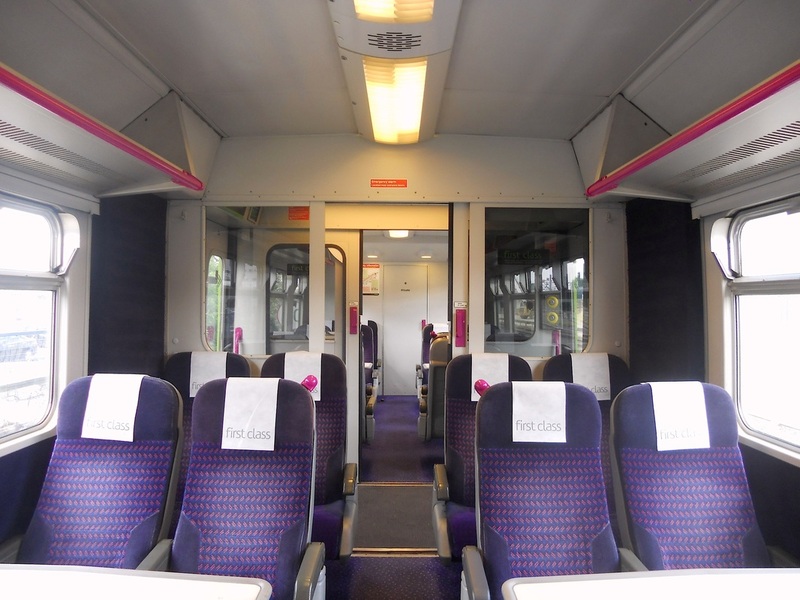 A half internal view of First Class. (c) Peter Skuce. A half internal view of refurbished Standard Class accommodation aboard the TSO vehicle. (c) Peter Skuce. The interior of refurbished Standard Class accommodation aboard the DTSO vehicle. (c) Peter Skuce. 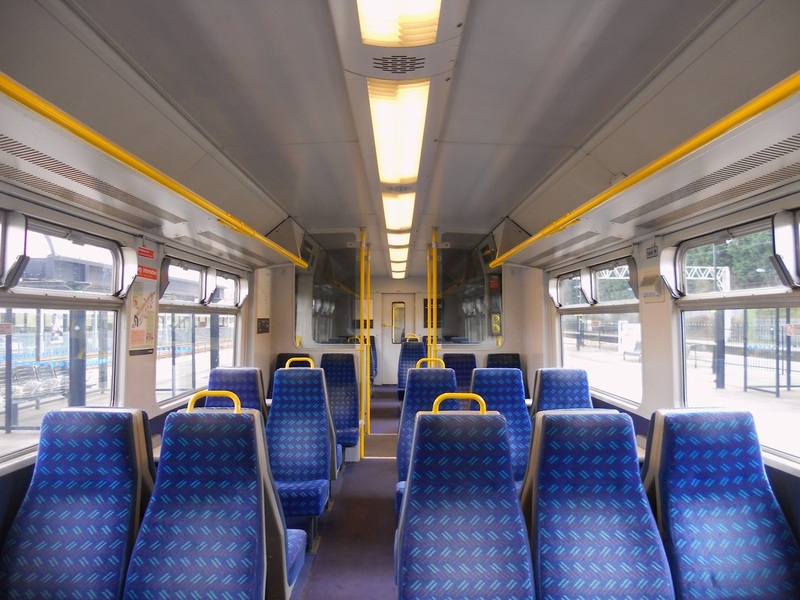 The seat cloth in the Class 321 was still NSE blue blaze when in use with Silverlink - Silverlink never touched the seats during the refurbishment programme during 1998-99. 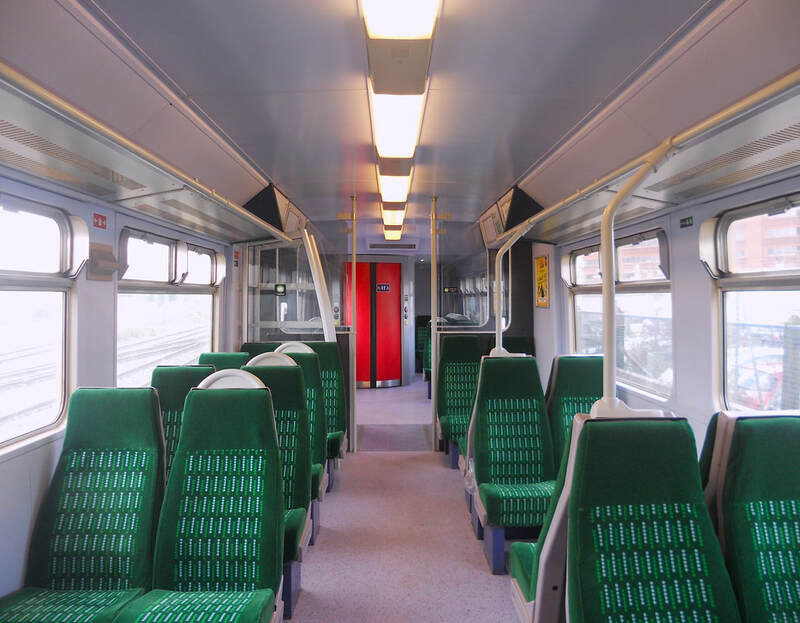 Even now when London Midland painted their seven Class 321 in their livery, the interiors were left untouched. 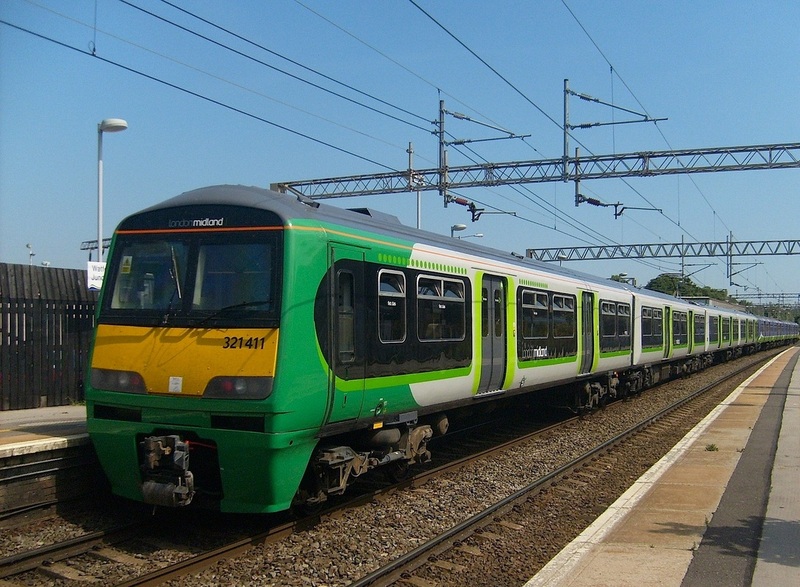 The first Class 321 in London Midland livery, No. 321411 at Watford Junction coupled to a Class 321 in Silverlink livery. (c) Peter Skuce. Class 321 No. 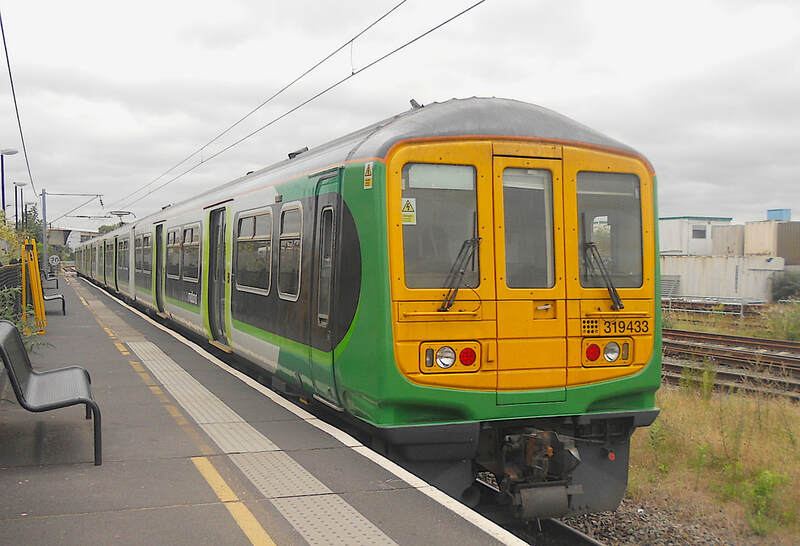 321414 at Watford Junction, Platform 11, with a train for St. Albans Abbey. (c) Peter Skuce. Class 321 No. 321415 at Watford Junction. (c) Peter Skuce. 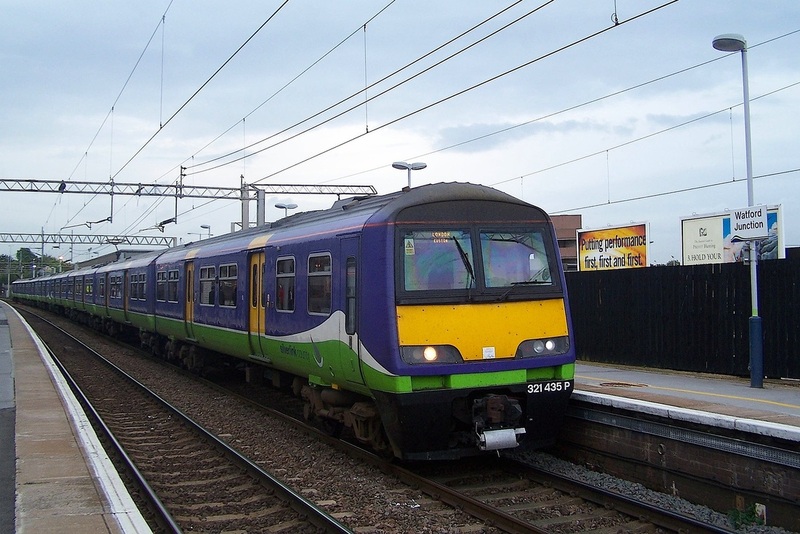 There are thirty seven Class 321/4 Northampton Line EMU trains (321401 - 321437) and they were built by BREL York 1989 - 1990. 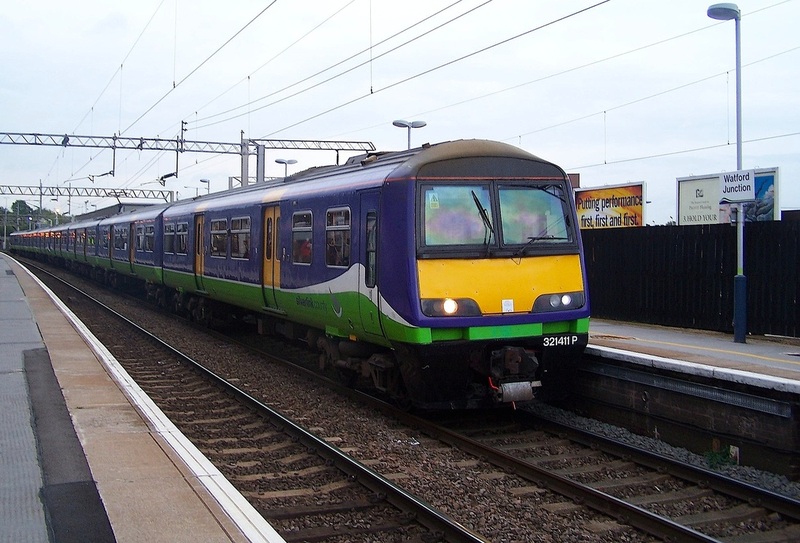 All were refurbished by Silverlink during 1998 - 2000.
whilst 321421 - 321437 have been cascaded/transferred to Great Eastern. Please also see the 'London Overground' page for details of franchise, that now currenly run over that network.